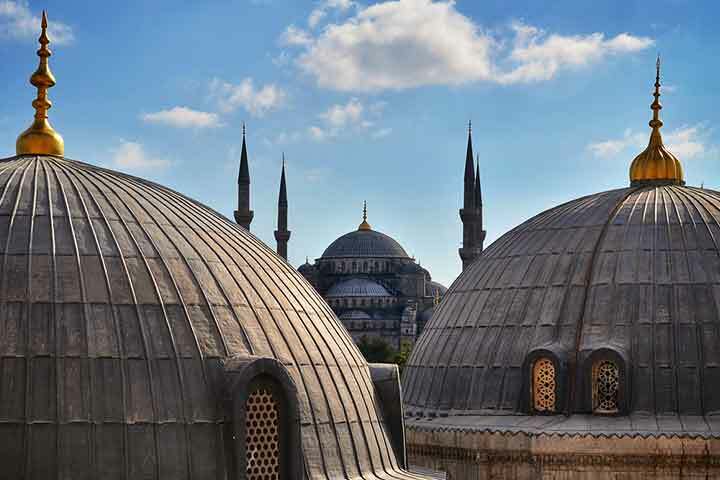 This tour is designed to take you from perplexing vivacity & unlimited UNESCO richness of one of the most well-known cities in the world; Istanbul, Turkey as first. 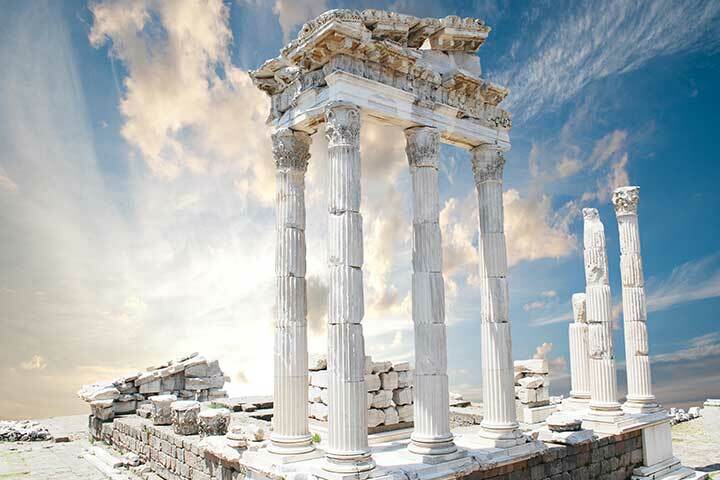 This tour is designed to take the traveler from the perplexing vivacity and unlimited richness of one of the most well-known cities in the world, Istanbul to the glory of the most popular ancient site in Turkey, Ephesus; to fantastic Cappadocia you see in pictures but cannot imagine, to the depths of human psyche in Didyma where people sought impossible answers and to war zones of sadness and pain in Gallipoli. The tour is not about antiquity only but will also take you to beautiful natural settings as you cover the most popular route in Turkey while giving you chances to enjoy Turkish Cuisine, award-winning wines and whenever possible sample local delicacies. In these 15 days, you will cover 6 sites on the UNESCO World Heritage List and 2 sites in the tentative list which shows the historical and cultural richness of the tour. With the help of our skilled and knowledgeable guide you will get to know the country in different angles from daily life to top archaeological sites, myths and legends, traditional Turkish food, age-old handicrafts that are still in practice and use; the multilevel historical and cultural dynamics of the land that make Turkey as we know today. Day 1: We rendezvous in the late afternoon at our hotel in Sultanahmet, historic quarters of Istanbul. Transfer assistance will be given from the airport to the hotel on the arrangement with the office. There will be time for a welcome drink before heading out for our evening meal at a local restaurant. Day 2: Rebuilt by Emperor Constantine I, the city of Constantinople was inaugurated as the new capital of the Roman Empire in 330 AD. Subsequently known to us as the Eastern Roman Empire or the Byzantine Empire, the city of Constantinople was to remain as the capital of one of the world's greatest empires for over a thousand years until its fall to the Turks in 1453. One of the greatest of Constantine’s legacies was his adoption of the Christian faith, and his conversion was to change the course of western history. 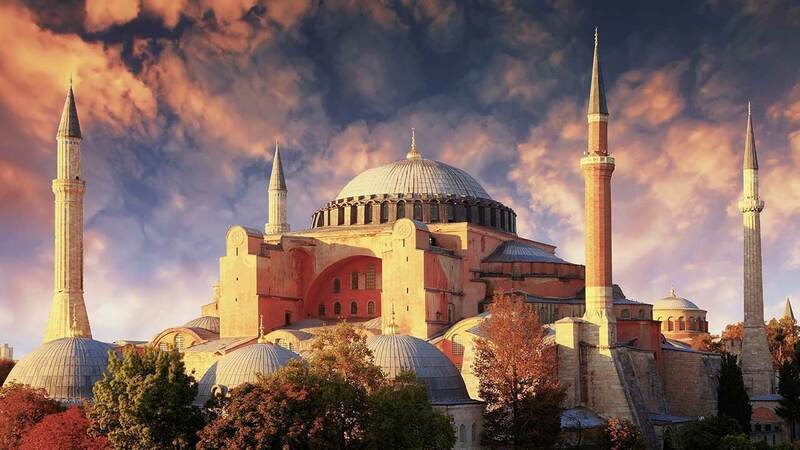 Two hundred years later, Emperor Justinian began work on what was to become the symbol of this new faith and one of the most astonishing architectural feats in history. The Hagia Sophia, being the most visited UNESCO World Heritage Site in Turkey, for over a thousand years, the dome of this magnificent church was the largest anywhere in the world. This morning, we head out from the hotel to meet our guide at the Hippodrome where chariot races took place in the Roman times. Our guide will explain the significance of Hippodrome and the area in daily, cultural and political life in Byzantium before we visit Hagia Sophia. 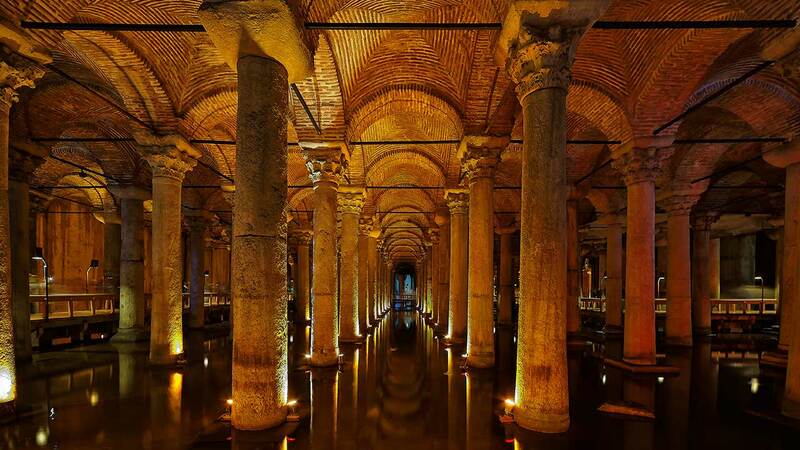 Next, we go underground to see one of the most astonishing structures of the ancient city, the Basilica Cistern (Yerebatan Sarayi) which was literally one of the dozens of underground cisterns that provided water for the old Constantinople. Day 3: We begin the day with a visit to the Blue Mosque. Built in the early 17th century, it is undeniably one the most iconic mosques in the world. We then walk to one of the great mosque complexes and one of the crowning jewels of Ottoman architecture. Standing on the third hill of Istanbul, the Suleymaniye Mosque was built in the 1550s by the great Turkish architect Mimar Sinan. Today, its dominance over the city affords some spectacular views across the Golden Horn towards Galata. Descending the hill from Suleymaniye, there is time to visit the Spice Market (Egyptian Bazaar) before lunch at a fish restaurant on the Galata Bridge. After lunch, there is time to explore the Galata quarter of Istanbul. In Ottoman times, this was the neighborhood on the opposite shore of the Golden Horn inhabited by the Christians, typically Genoese or Venetian merchants, hence its distinctively different architecture. Our day concludes with dinner at a local restaurant. Day 4: A visit to Istanbul would not be complete without a visit to the magnificent Topkapi Palace. 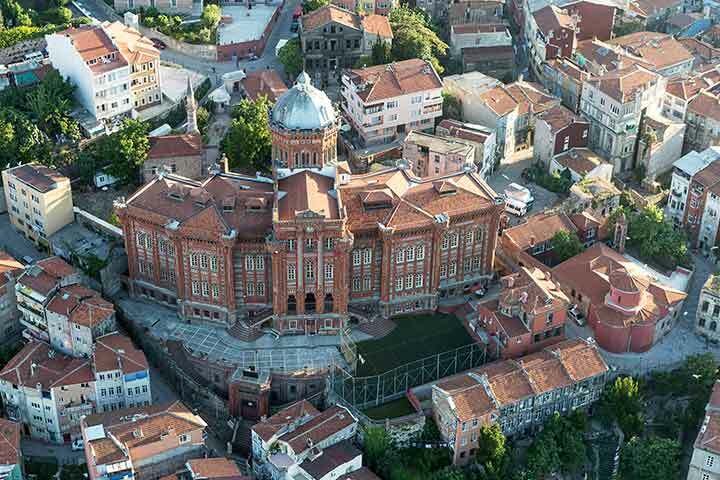 For approximately four hundred years, this fascinating complex was the official residence of the Ottoman Sultans. This morning we take a tour of the harem quarters as well as the charming Ottoman kiosks, pavilions, the Treasury and the libraries. 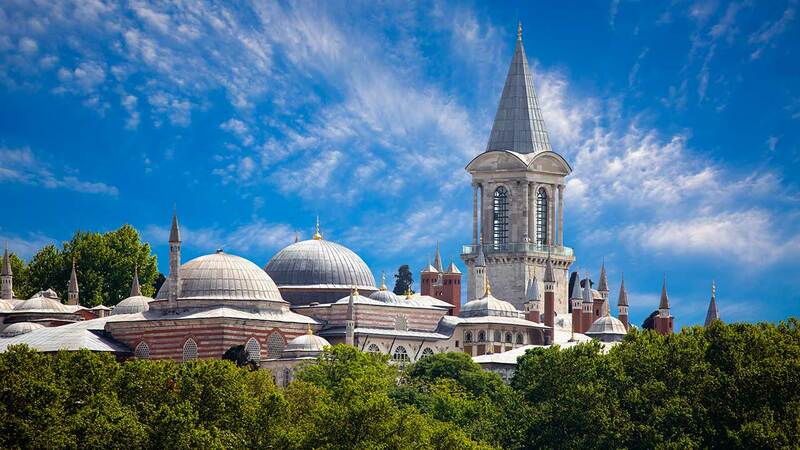 After our visit to the Topkapi Palace, there is free time to explore at will -perhaps to do some shopping in the Grand Bazaar or to visit the fascinating Istanbul Archaeological Museum. 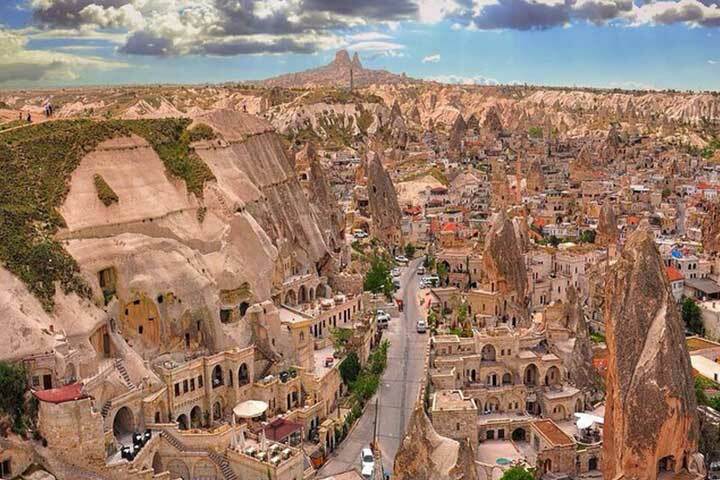 In the afternoon, we take a domestic flight to Kayseri where we will be met on arrival and taken to our hotel in Uchisar in Cappadocia which is our second destination of UNESCO World Heritage. Day 5: The unique landscape of Cappadocia is characterized by surreal rock formations, fairy chimneys, and innumerable hidden valleys. We begin the day with a walk through the Zelve Open Air Museum, a journey into the past with its troglodyte houses. 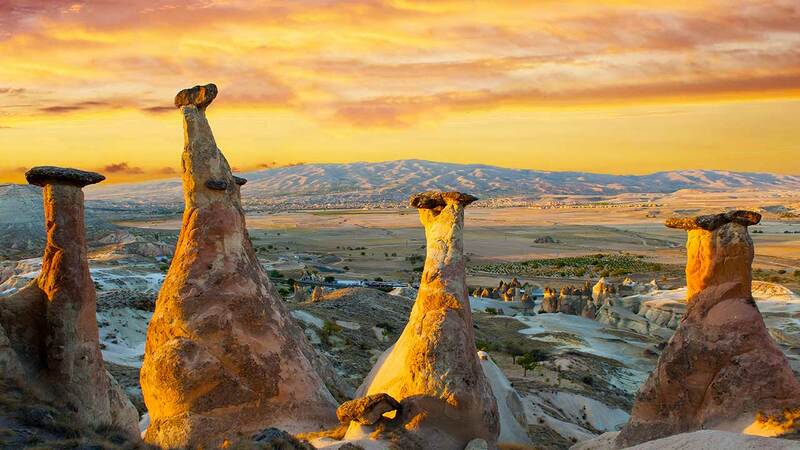 We visit the Pasabag Fairy Chimneys in the Monk's Valley, continue to Goreme Open Air Museum to see the beautiful Christian art of frescoes in the rock-cut churches and complete the day with a visit to the Uchisar Rock Castle which commands an extraordinary panoramic view over the landscape of Cappadocia. We conclude the day with dinner at a local restaurant. Day 6: We get up early to travel to the nearby Ihlara Valley where we spend the day trekking through the deep-cut verdant canyon and exploring some of the impressive Byzantine rock churches. 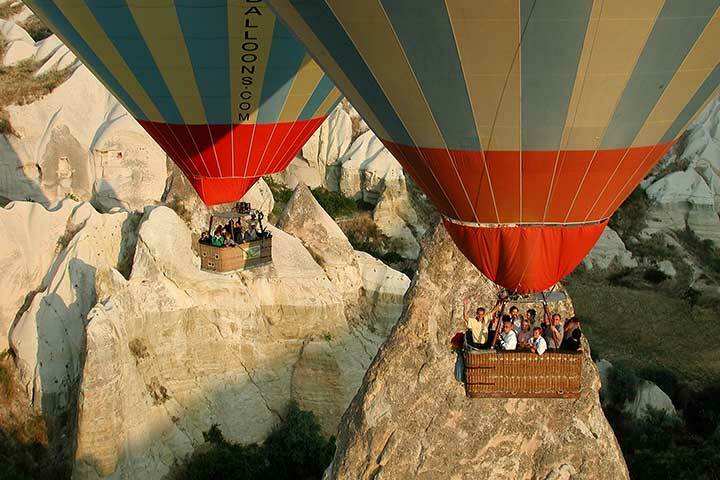 Next stop will be Derinkuyu where we go underground to explore one of the most extraordinary features of Cappadocia. 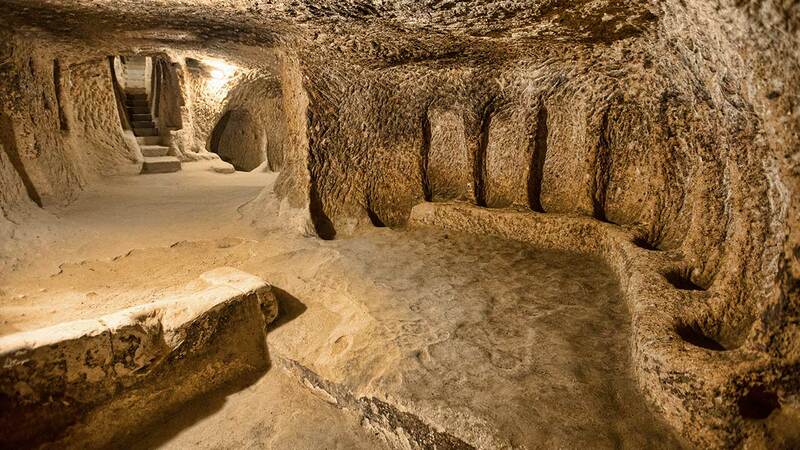 This immense subterranean structure was carved out of native rock and extends as far as several stories deep. The settlement was used by the Hittites and as a defensive enclave during the Byzantine times. Day 7: Today's first visit will be Mustafapasa town. 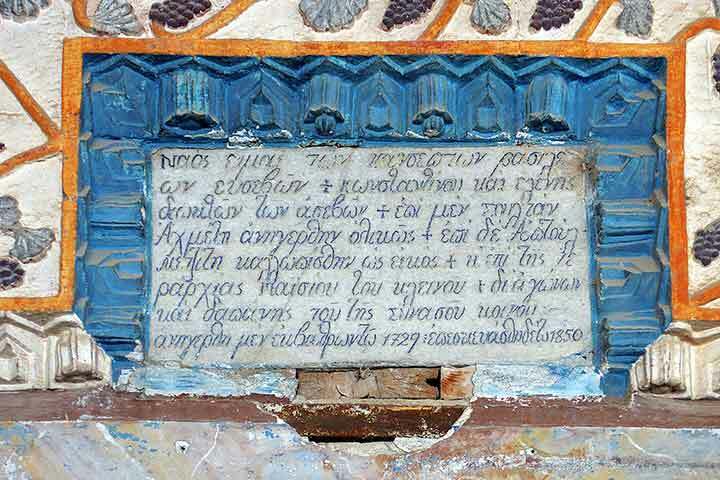 Like many towns in Cappadocia, Mustafapasa also had a large Greek population in the Ottoman times and was called Sinasos which is still used by many local people. Today it is a thriving little town with a university, an excellent Ottoman-Cappadocian style hotel patronized by royalty and lots to see and do nearby with its old churches and picturesque stonework on the houses. Mustafapasa is a less known of Cappadocian attractions and therefore a better choice for those seeking authenticity away from crowds. In the afternoon, we drive to Kayseri for a late afternoon flight to Izmir, from where we transfer to Sirince, an unspoiled old Greek village just above the town of Efes. Evening meal and overnight in Sirince. 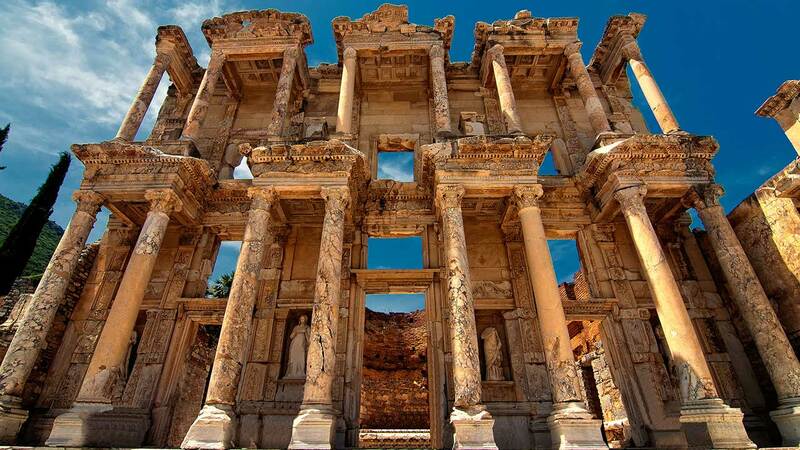 Day 8: Ephesus is surely one of the most extensive and fascinating archaeological UNESCO World Heritage Sites in Turkey, and we spend all day visiting the site and the vicinity. Once the commercial and religious center of the ancient world, much of what we see here today dates from Roman times. 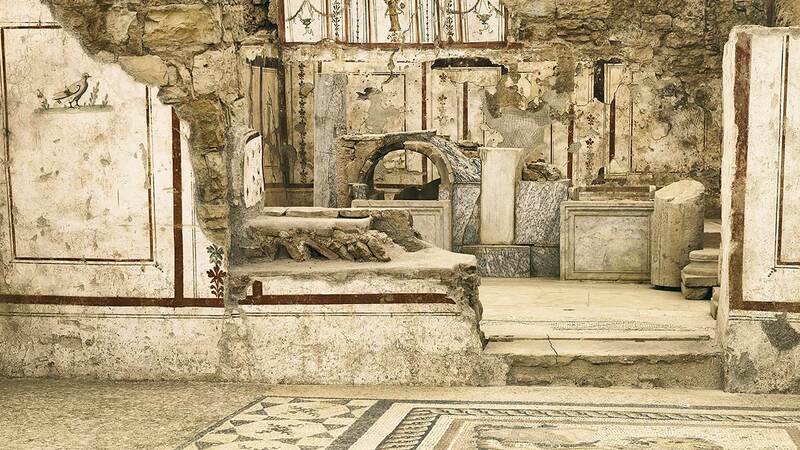 You will be able to see the world famous Celsus Library by the Lower Agora, the Terrace Houses, Hadrian Temple, Trajan Fountain, Scholastica Baths, and the Odeon and Bouleuterion by the Upper Agora. Walking the Arcadian Way after visiting the Grand Theater, we continue to the site of Temple of Artemis. We also visit the remains of St John's Basilica and the nearby Selcuk Fortress. Day 9: Today we visit three important sites from the world of Archaic Greece, an important chapter in human history with advances in art, poetry, and technology. Miletus was once an important port on the mouth of the River Meander, a sophisticated and wealthy city, which was a leader in philosophy, science, and trades. Didyma was the site of the Temple of Apollo and was the location of one of the most revered oracles of the ancient world. Priene was another busy port city, a beautiful Hellenistic site where we see one of the earliest examples of Hippodamus plan in an urban area. Temple of Athena Polias is well worth a visit for its pure Ionic style. Day 10: We visit Aphrodisias, perhaps one of the most charming of all classical sites in Western Turkey which has undergone extensive excavations and restorations and soon to be on UNESCO as well (tentative list still: May 2016) We will see the exceptional Tetrapylon, the Temple of Aphrodite, and the Stadium for 30,000 spectators, Sebastion, Baths of Hadrian, the Agoras, and the theater. The most beautiful artifacts of the sculptors of this once artistic leader of the Roman Empire are displayed at the museum on the site. We continue to Hierapolis, one of the Seven Churches of Asia Minor, and also one of the oldest health centers by the hot springs and Pamukkale (Cotton Castle), the world-famous travertine terraces and Antique Pool with pieces of ancient marble columns tumbled into the water in an earthquake. Day 11: Today we depart from Ephesus to travel to Pergamon. We visit the Red Basilica, another one of the Seven Churches of Asia Minor, before moving on to the ancient site of Pergamon. 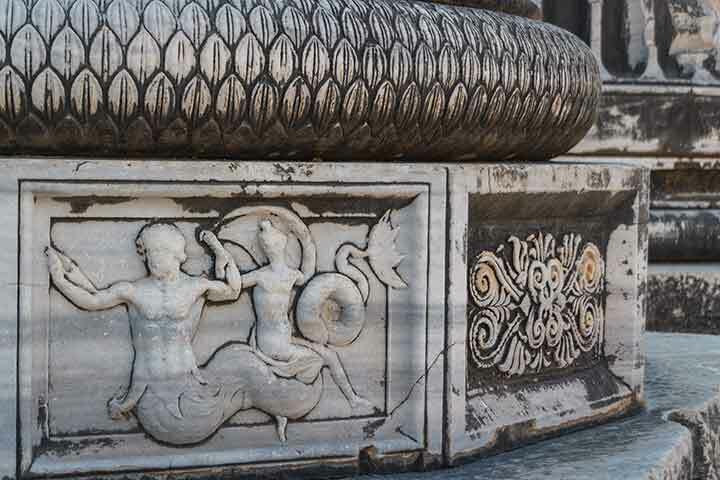 The library of Pergamon was renowned as one of the greatest in the ancient world and the theater was the steepest. Additionally, the Temple of Athena and the Altar of Zeus together with the Sanctuary of Asclepius, one of the oldest health centers, were the other famous places of attraction in the olden days. The city has two agoras, various temples including partially reconstructed Temple of Trajan and a magnificent view of the Acropolis. Day 13: We will start our tour by visiting Assos, see the remains of Sanctuary of Athena, a beautiful Doric structure, the city walls, the cistern, and the Hellenistic theater. 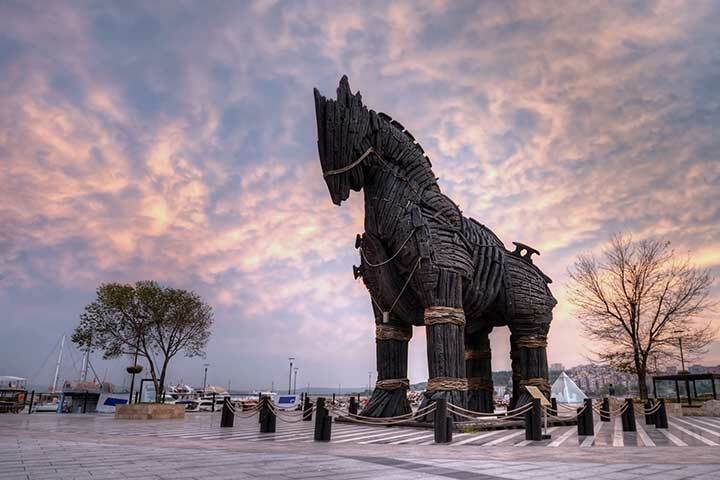 Continue to Troy, one of the most famous cities in the whole of the ancient world, immortalized in Homer's Iliad. We will see the 9 layers of settlement which will make us understand the stages of development of our civilization. Day 14: Today we will visit the WWI -Gallipoli Battle Zones; Turkish and Allied trenches, tunnels and memorials. 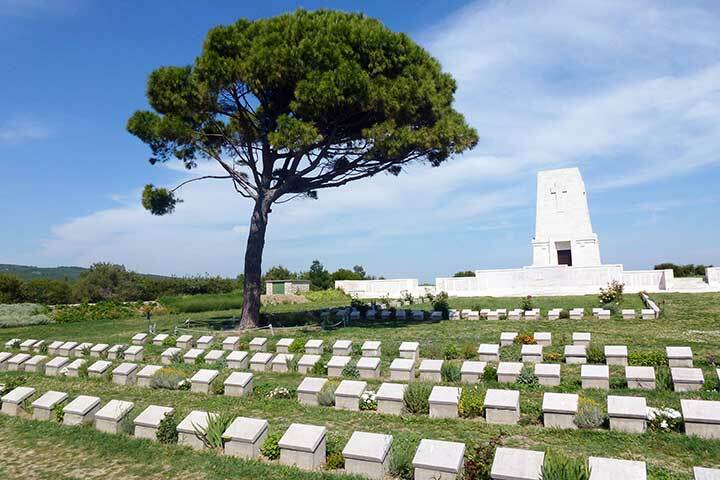 Lone Pine Australian Memorial, Regiment Turkish Memorial, Johnston's Jolly, Brighton Beach, ANZAC Cove, Ariburnu Cemetery, The Nek and Chunuk Bair are among them. Day 15: We will head to Istanbul early in the morning and finish our tour program.